The episode was very good. 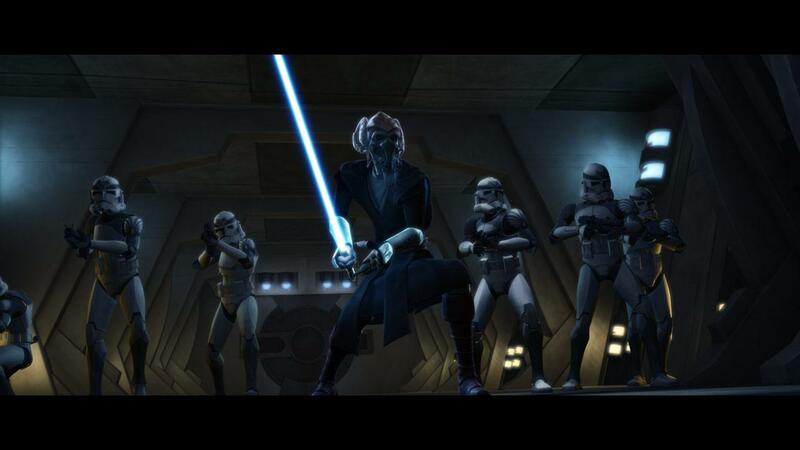 As expected by most, Plo Koon came to the rescue of an imprisoned Adi Gallia. Although, Adi did not die in the episode. It was an extremely hilarious episode. As it progressed, I realized it was, at first, Gulliver's Travels related. Then, as R2-D2 and C-3PO traveled to the other planet, Balnab if I am correct which I may not be, it became the Wizard of Oz. 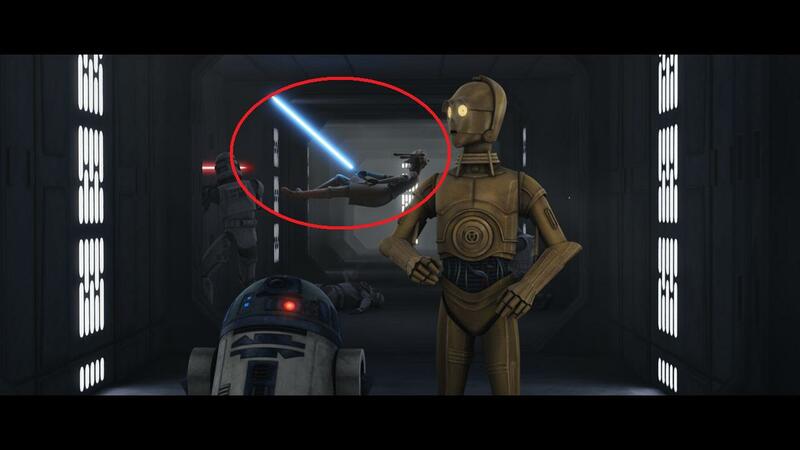 When they returned to space, it was obviously Star Wars once again. I enjoyed the end when Commander Wolffe tried to get Plo's attention, but failed and was force to listen to 3PO explain he and R2's adventure. 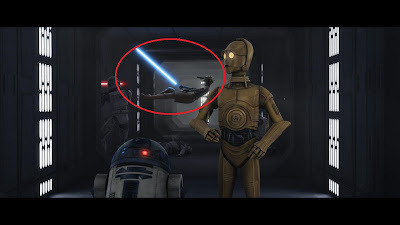 How many noticed that when R2 and 3PO were running away from the battle on the cruiser, Adi went flying through the air behind them? 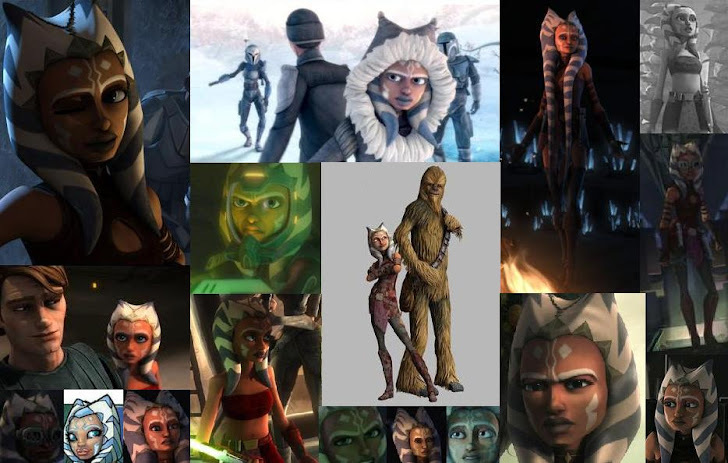 I'm guessing the Animators and Directors had a little fun at Adi's expense. 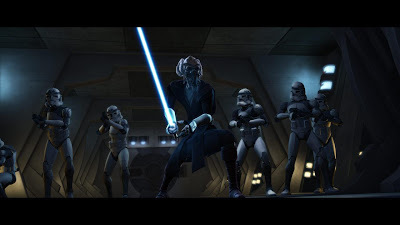 My favorite quote was in fact a Plo Koon and Commander Wolffe quote. "I'm sure Commander Wolffe would like to hear all about it." Please remember to remain sane while waiting for the next episode. Although sadly, it is two weeks away. I believe with a little patients, we can make it through this "crisis."